This album is probably as close as anything can get to zeuhl without having any vocals. All the instrumental elements are here: lots of heavy throbbing bass, very active drumming, repetitive themes, and an overall dark, somewhat oppressive feel. 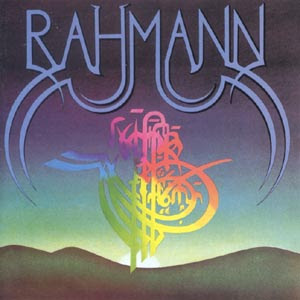 That said, Rahmann inject a very distinct feel to their brand of "instrumental zeuhl" - for one thing, the colors are somewhat more varied than the standard bass-drums-piano, with lots of interesting keyboard patches, some wind instruments, and some various plucked strings. There's also a lot of ethnic-sounding percussion, particularly in "Nadiamina", where Middle-Eastern-sounding percussion forms a constant backdrop for much of the piece. Overall, that nebulous Middle-Eastern ethnic feel permeates the whole album, which shouldn't be too surprising, given that the bandleader (as detailed in the excellent liner notes) was born in Algiers.Didier Lockwood and Liza Deluxe (Magma), and Gerard Prevost (Zao).Give a good listen to the astounding "Ab," which sounds like Univers Zero if they were from Algiers. Not your run-of-the-mill fusion workout. Thank you for this! It sounds like a very interesting album. Thanks for this! It sounds cool.